Yes, this is another easy listen. What other book might you compare In Due Time: A Novella to and why? 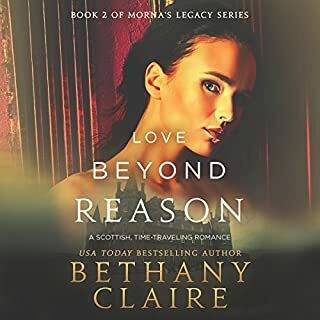 I don't listen to many romance books so I can't compare it but it follows the same feel as the previous books in the series. A good narrator is able to have you follow along without wondering who's character is speaking. This story fell a little short for me. I think a longer book would have helped me become more invested in the characters and story. Still overall worth the listen. What made the experience of listening to Love Beyond Measure the most enjoyable? As per usual, this book is an easy listen. I was a little lost at first with the introduction of the new characters in the very beginning but caught on quickly. Describing my favorite part would give too much away but I will say that it involves Eoghanan asking a question to Cooper and Jeffrey. Lily's performance is on as always. I really liked the voice she used for Cooper. I love the importance all of the books put on family. 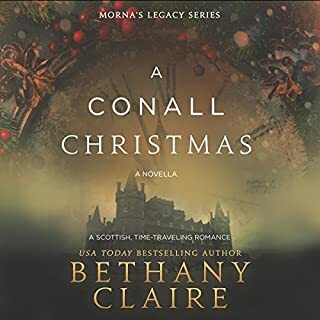 This is another great story from Bethany brought to life by Lily and is a very enjoyable series!! 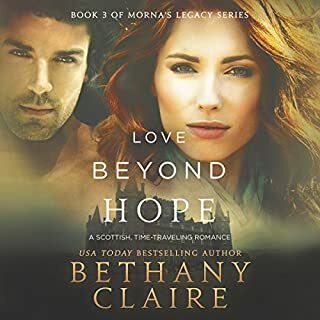 Would you listen to Love Beyond Hope: A Scottish, Time-Traveling Romance again? Why? Yes! I really enjoy this series and any good books should be read and re-read!! Baodan, because it's easy to relate to his character. Everyone has probably felt like him at one point in their life about love. She is a good narrator & her voice is pleasant. I feel she continues to get better with each reading. This series is definitely worth starting, you won't be disappointed! A good book to get you in the holiday spirit. Yes! I enjoy the series a lot. I think this is a story I would listen to when I wanted to get into the Christmas spirit. 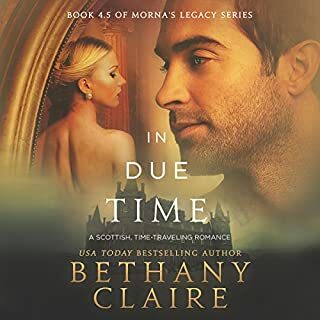 Not sure, this is my first Scottish time travel romance series so I don't have any other reference points. Lily gives the characters depth that you might not get when reading it in print. Her character voices allow you to follow along effortlessly. It allows you to get lost into their world more easily. Yes, I found myself changing my opinion of Adelle and rooting for her. I would have to say that at the beginning of this book she was my least favorite character but by the end I felt a lot differently about her. This is the second time I've started out feeling one way about the central character and ended up liking them before I'm done. 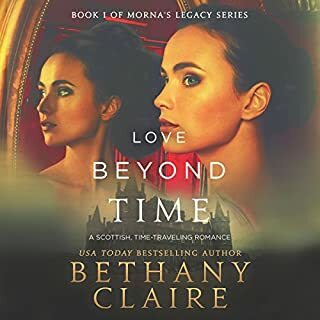 What made the experience of listening to Love Beyond Time: A Scottish Time-Traveling Romance the most enjoyable? This was my first romance that didn't involve vampires and I really didn't know what to expect. I was afraid it would be sappy and full of heaving bosoms. It wasn't any of that. It was a good solid story that was easy to follow and listen to. 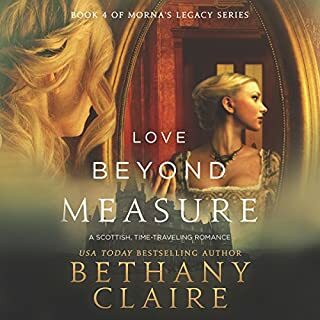 What was one of the most memorable moments of Love Beyond Time: A Scottish Time-Traveling Romance? There were a few for me but I wouldn't want to spoil the book for anyone. Listen and choose for yourself. I thought she did a good job. She was consistent with her character voices and accents so you had a clear idea of who was saying what. I did not have any extreme reactions to the book. I felt like I knew what was coming next. But I NOT in a predictable or boring way. Just that the book flowed so well it was easy to follow along. I can’t say that I loved this book, but I really, really liked it and was entertained from start to finish. I would definately recommend it to someone looking for a new series and an easy listen. I reserve my 5 star ratings to the stories that I absolutely love and couldn’t live without, so that is the only reason it is a 4. But this story is a solid 4 and I don’t think anyone would regret the purchase. I know I will listen to it again.